Illustrating what was once Tomlinson’s Yard, this sketch demonstrates that nothing is forever. The yard was situated on the west side of Dale Street in the position now (2017) occupied by the abandoned, and shortly to be demolished Ossett Fire Station. 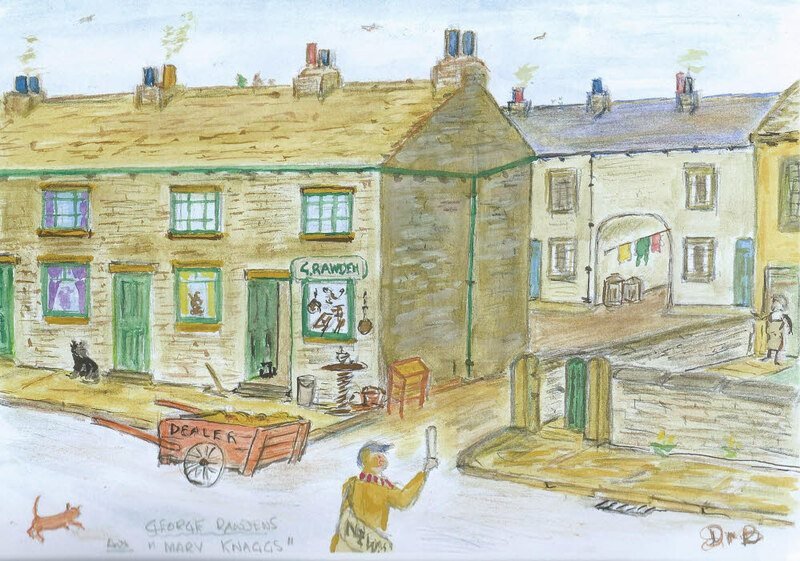 The sketch shows a young Douglas Brammer delivering his morning papers to those customers who lived at the terraced yard. On the right, stood at her open door is Mary Knaggs who, every morning, would call out to Douglas and demand a morning paper even though she wasn’t a customer. She was often disappointed. On the left is George Rawden’s “Emporium” with his goods and bargains stacked outside.